Bear in mind before you read anything, this whole thing is basically moot if Stones decides he wants to leave and force a move. This is all assuming Stones is happy to stay, and whether or not we sell is down to the club. We’ve been here before. Rooney, Lescott, Arteta, Fellaini, as well as the ones who we managed to keep hold of like Baines and Jagielka. But it seems most years, there is some bigger richer club bullying us to take our star players away for a fraction of what they are worth to the club. This year, it’s Chelsea slinging the mud and belittling us in their pursuit of John Stones. Of course Chelsea want him. This is a lad who will go on to be probably the best English defender of his generation, and Chelsea long term need a replacement for John Terry, so when you’ve got all the money in the world, why not? If he wants to go, it’s just up to us to get the best deal we can for the club like we did with Lescott and Fellaini. Not so much Rooney and Arteta. 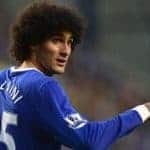 Unfortunately, I don’t think there is any good deal for the club at the moment, so this is feeling more Rooney and Arteta than Lescott and Fellaini, both of whom I think the club did well to stand firm over until we got what we wanted. 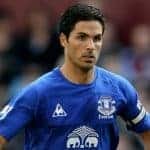 Rooney and Arteta never allowed us the time to do that, both throwing in transfer requests on deadline day and forcing our hand without the time to replace them. So what has all this got to do with John Stones? This is probably the first time in my time supporting Everton where I don’t believe there is a price I would be happy to sell him for. Not because John Stones is the best player we’ve ever had or anything, but because I just can’t see us coming out of this in a stronger position without him. Even if he stays, we already need cover at centre back. Behind him and Jagielka, we only have young lads Tyias Browning and Brendan Galloway, both of whom have only a handful of senior appearances under their belts, and more at full back than centre half. I’m not saying these boys aren’t good enough, but we simply can’t go into a season with only kids as defensive cover. Though having said that, it’s probably still preferable to Alcaraz and Distin…but anyway, the fact is, we already need experienced centre back cover. Added to this, Jagielka will need replacing in a couple of years too, so to sell Stones and find us basically needing to go out and sign at least two centre halves, when we’re already struggling to sign one is not a good situation to be in less than three weeks before the season starts. But then if we’ve got some cash, signing those two players obviously becomes slightly easier. But then its obvious a big chunk of any fee we would get for Stones will be swallowed up first by a sell on clause for Barnsley, and then signing his replacement. A decent solid standard experienced centre half will likely cost around £10 million minimum. We were quoted something similar for Scott Dann earlier this summer, Toby Alderweireld cost Spurs over £11 million. So it’s either spend that premium on someone we know can do the job, or go abroad or down the Leagues and gamble. Either way, it won’t replace Stones’ ability, or his already existing partnership and understanding with Jagielka. Then of course we will be losing one player and replacing him in the squad with two or three, so that’s the wage bill shooting up. The more I look at it, the more I just don’t believe we will be any better without him, unless Chelsea go up to a stupid amount of money, which they won’t. They are laying the groundwork, putting in the low bid to unsettle him and make him force a move, and they will get their man for likely exactly what they always expected to pay for him. That’s what they’re hoping anyway. It has to be up to us to stand firm and keep hold of him. 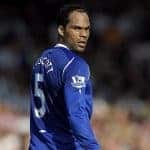 As we saw with the Rooney and Lescott sales in the past, selling one player for a big fee is absolutely no guarantee that the players we sign to replace him and rebuild the squad will turn out any better.